The books that made up the Lewis trilogy: The Black House, The Lewis Man and The Chess Men by Peter May were a fascinating glimpse into life on a remote Scottish community. A combination of the bleak but evocative setting and intriguing and thought-provoking subject matter gave the series a legion of fans. 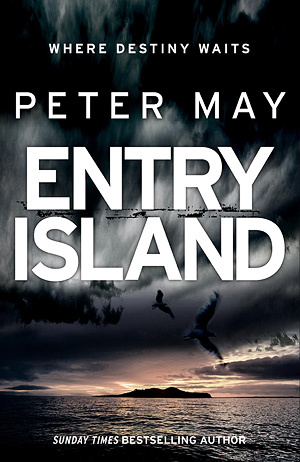 May has now written a new standalone crime novel, Entry Island, which draws on some of the themes of his previous books. Detective Sime Mackenzie is sent to Entry Island, a remote community 850 miles off the mainland Canadian coast. A wealthy inhabitant of the island has been murdered and the obvious suspect is the dead man’s wife, Kirsty Cowell, who was found with blood on her clothes. Mackenzie is accompanied by a French speaking team from Montreal that includes his former wife. At Entry Island he suspects that events are far more complicated than they originally seemed although his judgement becomes clouded by a shocking discovery about the break-up of his marriage, and signs that he and the Kirsty share a common ancestry. Moving the setting to a remote Canadian community was a wise move for May. 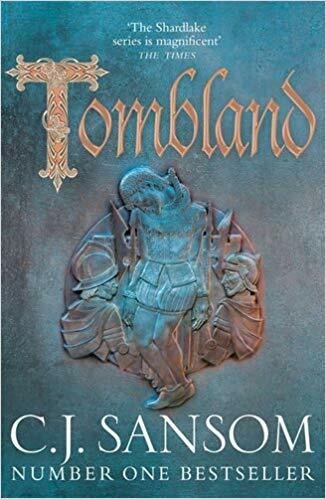 It breathes fresh life into his writing while allowing many of the themes he likes to explore, such as secrets from the past that carry through to the present, to be revisited. There were a couple of times when I thought I was reading the same story as the Lewis trilogy. Sime’s parents, for example, are killed in an accident which is reminiscent of Fin Macleod’s tragic history. May excels in split narratives although, in this book, I did prefer the present day murder hunt to the slightly extraneous story of Kirsty and Sime’s ancestors. The hunt for the killer on Entry Island is a classic murder mystery with a decent list of suspects and a satisfying conclusion. My resolution this year is to read more standalone crime novels as I’m getting a little tired of series, although there are some that I’ll read the latest addition anyway. This was an excellent start to my ‘standalone resolution’. This sounds very interesting, great review Sarah. I’ve got some catching up to do with Peter May first, but will bear it in mind…. Thanks Moira. I really ought to read some of May’s pre-trilogy books. Sarah, I almost got round to reading Peter May a couple of years ago but never did. Thanks for reminding me. I think I’ll start with the Lewis trilogy. Sarah – It’s good to hear that this one is up to May’s standard of excellence. I love what he does with atmosphere and this particular setting/context seem to lend themselves to that. Thanks Margot. Yes the sense of place in the book is one of its major strengths. I didn’t realise this was your family history too. That’s fascinating. I’m sure it will appeal, as you say, to many Canadian Scots. Great! I hope you enjoy them…. Perfect, I am doing a Read Scotland challenge and a Canadian book challenge and this fits in both. I do have the first in the Lewis Trilogy and will stick with that for now, but good to see this review of Entry Island. I like split narratives. And one of the things I love about reading stories about other countries is seeing how the immigrant populations got there. Parts of history I was note aware of. Great, Tracy. This book will definitely fit both challenges. Good luck.